The deployment of the submarine was preceded by a build-up in US naval forces in the region, which took place amid warnings issued by the Russian Defense Ministry about planned provocations using chemical weapons in Syria. The last such provocation triggered joint airstrikes by the US, UK and France against Damascus. British Trafalgar-class nuclear submarine the HMS Talent sailed into Gibraltar on September 8, the Gibraltar Chronicle reported, posting a picture of the vessel. The submarine has the capacity to carry up to 30 Tomahawk cruise missiles, capable of hitting ground targets. The submarine was refitted in June, after which it partook in operational sea training. The Royal Navy hasn't issued any info on the HMS Talent's current objectives in the Mediterranean. 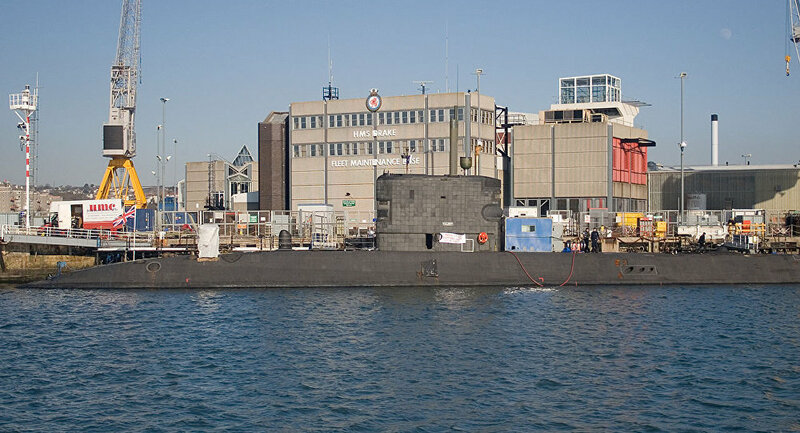 Earlier, US Los Angeles-class submarine the USS Newport News, also capable of firing Tomahawk cruise missiles, left Gibraltar's port for the eastern part of the Mediterranean, joining three other nuclear submarines and three US destroyers, the USS Carney, USS Ross and USS Winston S. Churchill. The deployment came amid the Syrian army's planned offensive against terrorist groups in Idlib and numerous warnings issued by the Russian Defense Ministry that militants are planning provocations in the same province with the use of chemical weapons. Moscow warned that militants might try to pin the blame for these attacks on Damascus in order to provoke Western countries to conduct airstrikes against Syrian government forces. Earlier, the White House warned Damascus against using chemical weapons, promising that it would respond "swiftly and appropriately."